2016 is year of the Red Monkey. The Chinese name of 2016 in the Chinese Horoscope calendar is . Chinese apply Five Elements (Metal, Water, Wood, Fire and Earth) into the Chinese calendar. is in the Fire group. The color of Fire is connected to Red. is the calendar character corresponding to Monkey. Therefore, 2016 is the Red Fire Monkey year. 2016 is the 4713th Chinese Year. According to Chinese Horoscope calendar, the first day of Red Monkey is on February 4, 2016. This day is not the Chinese New Year Day. Most of Internet Chinese horoscope sites use Chinese New Year Day to determine the Chinese zodiac sign, which is wrong. Chinese New Year Day of Red Monkey Year is on February 8, 2016. This is the reason that some people confuse their Chinese zodiac signs. The first day of the Chinese astrological year is the first day of the Tiger Month (Start of Spring). The Tiger Month begins around February 4, each year. If you were born before February 4, then you should check Your Chinese Zodiac Sign first before reading your 2016 Chinese zodiac. Monkey is the 9th animal in 12 zodiac signs. Monkey is after 8th Sheep and before 10th Chicken. 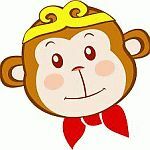 Monkey is the animal in the first of Metal Cycle. Monkey, Chicken and Dog are in the cycle of Metal. Our Chinese horoscope prediction combines the theory of Five Elements, the relationships betweens animal signs and the image meaning of I-Ching hexagram. The prediction for 2016 Year of Monkey is based on your birth year, the Chinese zodiac signs. We have different forecasting method for 2016 using your entire Chinese astrology birth chart, which is required your birthday and birth time. You can find the hyperlink in the end of the prediction. According to Chinese Five Elements Horoscopes, Monkey contains Metal and Water. Metal is connected to gold. Water is connected to wisdom and danger. Therefore, we will deal with more financial events in the year of the Monkey. Monkey is a smart, naughty, wily and vigilant animal. If you want to have good return for your money investment, then you need to outsmart the Monkey. Metal is also connected to the Wind. That implies the the status of events will be changing very quickly. Think twice before you leap when making changes for your finance, career, business relationship and people relationship. Your Zodiac Sign is determined by your birth year. If you don't know your zodiac sign and were born after February 4, you can find your animal sign by your birth year using the following chart. Or you can provide your birthday to get the 2016 Complete Chinese Horoscope Prediction.